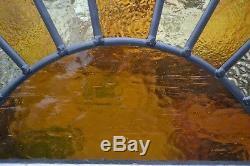 The second photo is the "before" photo to demonstrate I had the glass panel made completely new. Door 814mm (width) x 2025mm (height) x 47mm (depth). 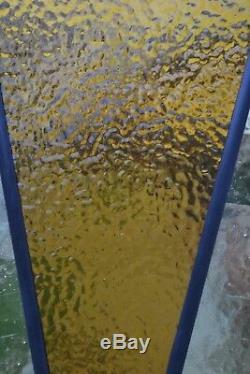 Glass 540mm (width) x 485mm (height). To convert millimetres (mm) to inches go to a well known internet search engine and type "mm to inches". I also travel the country regularly so might be able to personally deliver. They have not done mileage but may have 100 years on the clock. Some sellers whether trade (like me) or private are asking hundreds of pounds. If a listing gives only a fleeting reference to it being restored ask exactly which parts has been restored! Look very closely at the photos. If poor quality photos ask for better. Some old panels look amazing when photographed in direct sunlight but the silhouette will hide the hide the condition of the lead and wood. 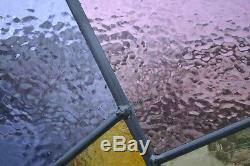 While you should consider all parts of the door I suggest the traditionally made leaded light panel(s) is the most expensive aspect to restore/replace if there is a problem. 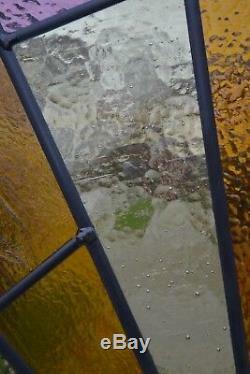 Even if the glass is not damaged the lead structure might not be rigid after decades of slamming. Are all lead joins intact? Look for even small cracks within the lead joins and bowing of the whole panel. Another consideration is how exposed the lead has been to the elements. If it is grey/white then it is oxidising. This can happen on both sides as condensation can oxidise the internal side. None of the above faults necessarily mean that the whole panel should be remade. 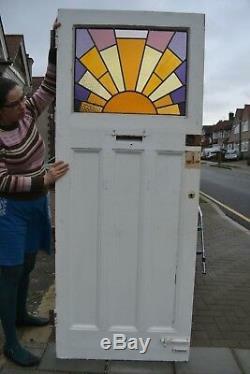 If I think the panel should be remade I will say so at the start of my listing. 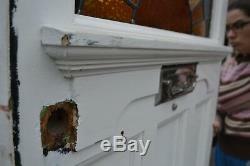 If any of my doors contain rot I will state this on the listing. Rot can be in any area but in particular look at at the bottom where rain may collect if the door was not positioned under a porch roof or well maintained with paint. I aim to provide high quality photos. You might notice all my doors are photographed on a white background or on a cloudy day. I may not have the largest collection of doors but I take the time to properly present each door: quality rather than quantity. 203 x 82 x 5cm, 32kg. The only additional cost you are responsible for is import duty. 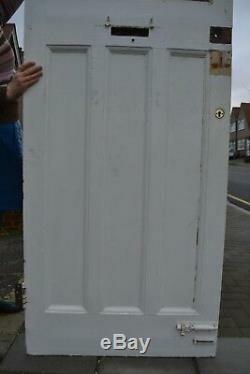 For an accurate price please send me a list of the doors you would like as size and weights vary. You might prefer to collect from your nearest sea port if so please advise which port. If you have a shipper in England please tell me their location so that I can price to deliver there. RICHARD CANN STAINED GLASS LONDON. 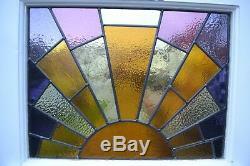 The item "Art deco leaded light stained glass front door NEW PANEL! Delivery option" is in sale since Monday, March 25, 2019. 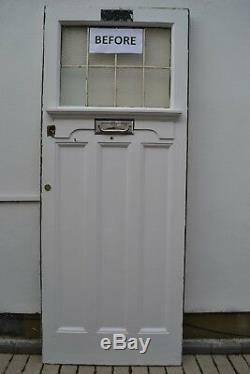 This item is in the category "Antiques\Architectural Antiques\Doors". The seller is "richcann" and is located in Harrow.